At first I wasn’t supposed to add this title to the series I will watch from the Winter 2017 season, the summary didn’t really appeal me. However, after reading the first impression of my fellow ani-blogger Lethargic Ramble, I decide to give it a try. Chuuta Kokonose is an orphan who lives with his aunt. For as long as he can remember, he’s had a voice in his head, but other than that he’s a normal boy—right until the day when a strange-looking thing follows him home and teleports him to a place filled with more fantastic creatures. It’s a space police station, and Rein Brickke, the Chief of Solar System Department, tells him that he’s been chosen by the computer as a possible candidate to join the police force. Misuzu Sonokata, a girl from Chuuta’s school with an angelic face and ill temper who turns out to be one of Rein Brickke’s subordinates, doesn’t think him suitable for such a job. Chuuta, who was shocked at first, decides to take the aptitude test after being urged by the voice in his head and to prove Misuzu wrong. Middle school student Chuta Kokonose has heard a voice in his head ever since he can remember. When a strange creature recruits him to the space police force, he learns that the source of the voice is a Monitalien, a symbiotic creature who is living inside his body! Now Chuta must prove his mettle to his cold-hearted coworker, Misuzu, and the rest of the department by protecting the universe from otherworldly criminals. 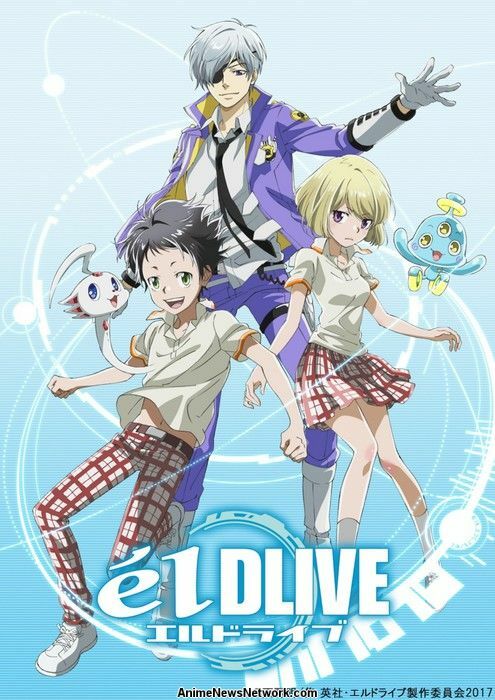 Now that I watch the second episode of elDLIVE, I can say I will certainly keep watching it. 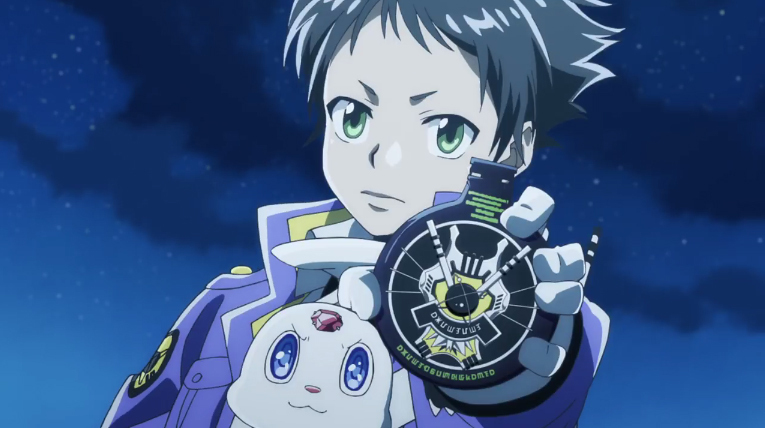 When I first saw the PV and read the summary of it, I wasn’t really sure about it. What was shown in the video didn’t appeal me. But after reading the first impression of one of my fellow ani-blogger, I decide to check it out, and I don’t regret it. 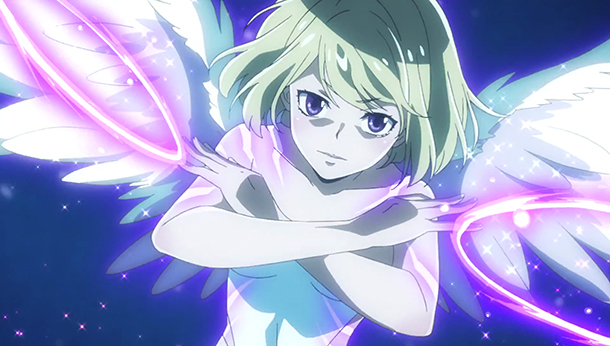 character of Katekyo Hitman Reborn. Even if I haven’t seen the latter yet (It’s on my list don’t throw me rock) I do know Tsunayoshi goes through some major character change. Thus, I’m really curious to see the transformation with Chuuta. Police department, like their very handsome chief Laine. It also in this episode that Chuuta goes some through some exam to see if he can be part of the Space Police even if he is still unsure himself of what he want. As I said above, I don’t regret checking out this series, I’m pleasantly surprise by what I saw so far. I can’t wait to see more. to see how Chuuta will deal with his new duties and if that boring blondie space officer will start to be less stiff and start to warmth up a bit, cause so far I found her quite annoying. Great post! Hope you keep enjoying it!